Morocco’s Chefchaouen is as unique as it is beautiful. Tucked between peaks of the marijuana-laden Rif Mountains, the village crawls (often times, steeply) up a hillside and treats visitors to the land of one-thousand welcomes. 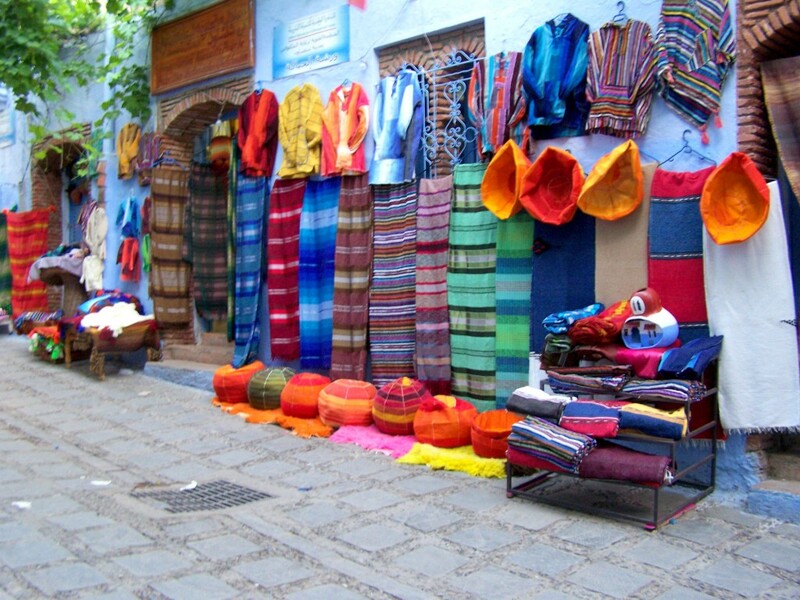 But, there is more to the town than the warm hospitality and Moroccan culinary delicacies like the delightfully colorful and flavorful Berber dishes of tagine, raisin-topped couscous, and cup fulls of sweet mint tea — there is the city itself which easily reaches its way into the hearts of travelers from every corner of the world. Located in the northwest of the country, Chefchaouen is quite possibly the most photogenic place I have ever visited. Here, buildings are two-tone, powder blue on the bottom, white on the top. Accents on buildings are an array of turquoise and aqua. In some areas, even the white looks blue, thanks to the intense coloring and reflection of the bright azure shades. Some say the blue is painted on the white-washed buildings to keep the mosquitoes and flies out; others reason the painted walls are rooted in the Jewish history of the town. 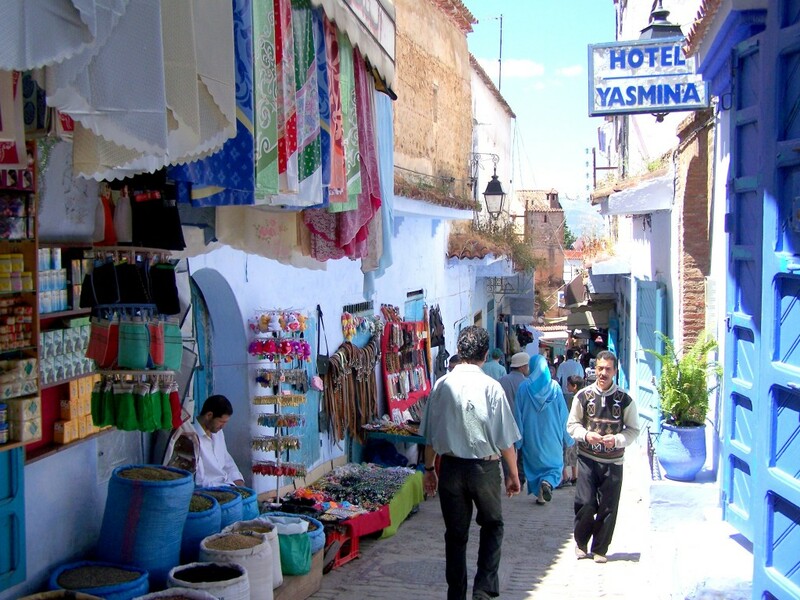 Aside from the walls (and marijuana/hash/kief), Chefchaouen is also known for its shopping. It’s nearly impossible to not stop and stare at the bright pops of leather goods, hand-woven rugs, clothing and more on display. 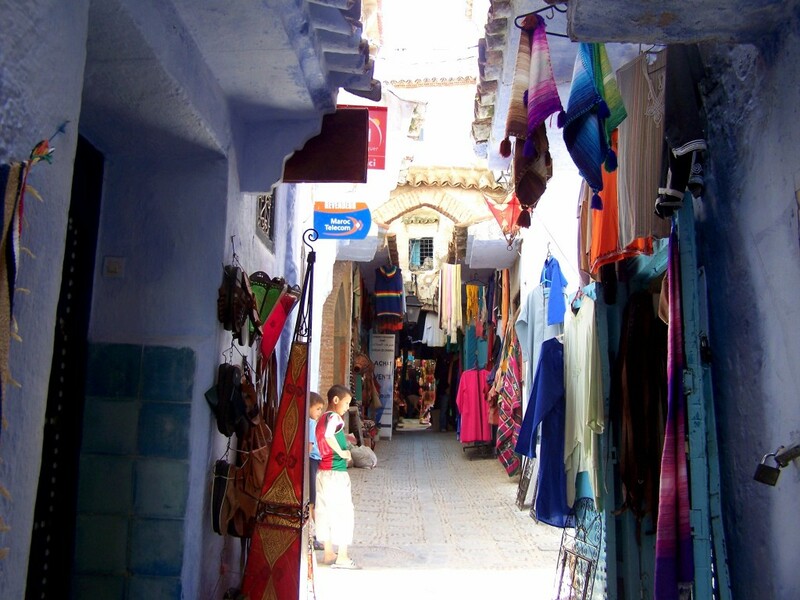 There is definitely something extremely magical and surreal about wandering through the medina of Chefchaouen. The bursts of vines hanging overhead. The quaint cafes serving food that is just as colorful as the shop displays. The fresh air. The welcomes. The blue tint of the skin by day and the stars sparkling overhead at night. 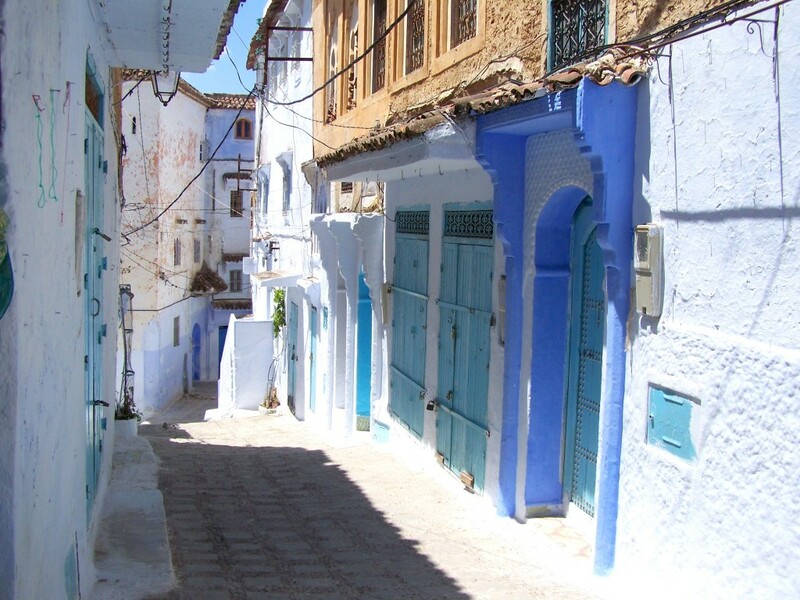 Unlike Marrakesh, Fez and other major cities, Chefchaouen bursts with a character and a true beauty I’ve never seen before. 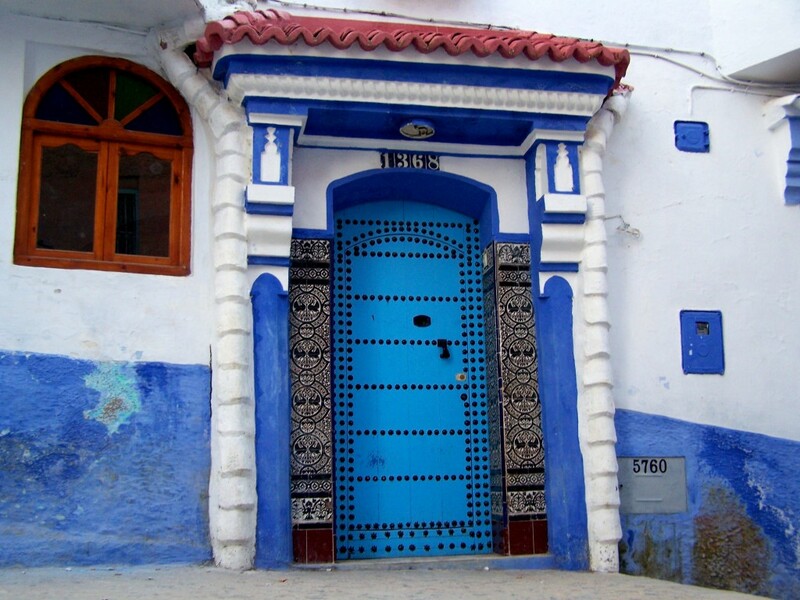 From Tangier, hop on the bus to Chefchaouen. 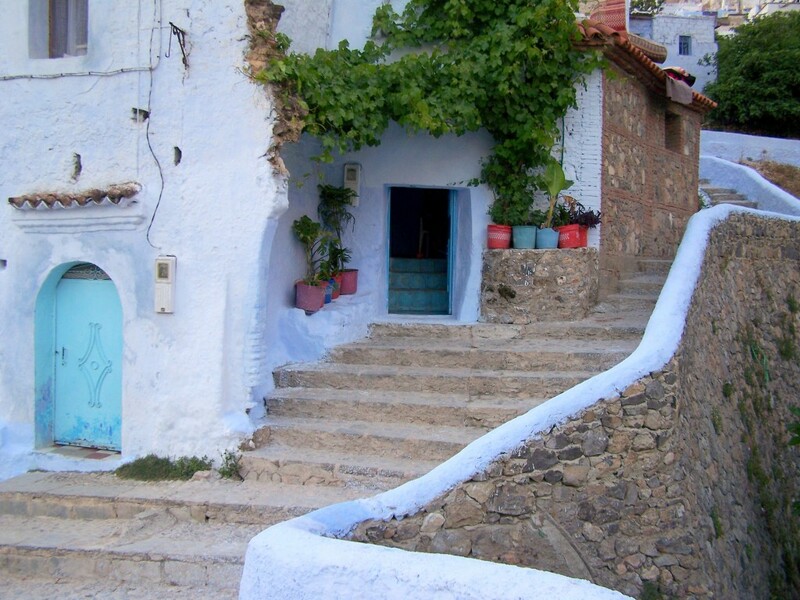 Take note: Chefchaouen is built on a hill. For those carting large luggage, particularly luggage with wheels, you would do better to take a cab from the bus stop up to the medina. For those who opt to walk, god speed. It just looks vicious. 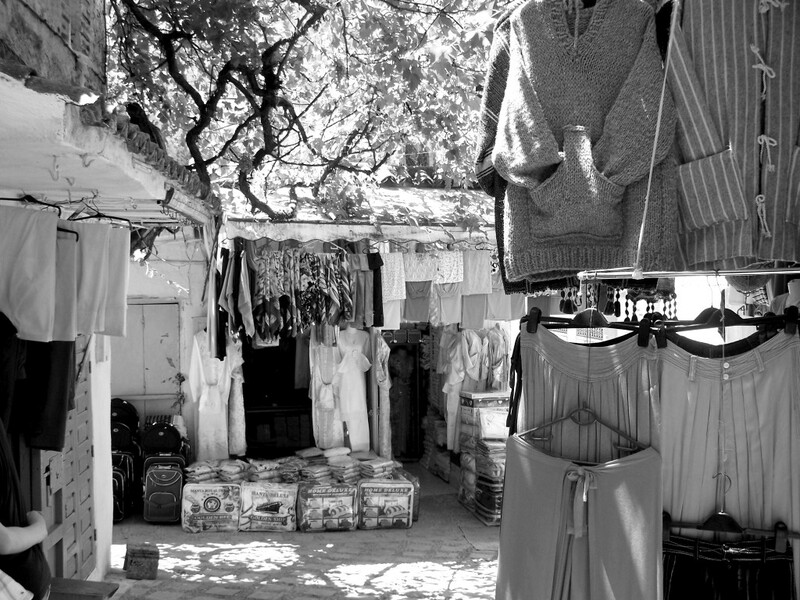 Makes me want to head there to do some shopping! Yes!! I got a great pair of fuschia sandals while I was there and a beautiful scarf. The colors in that first photo are amazing! 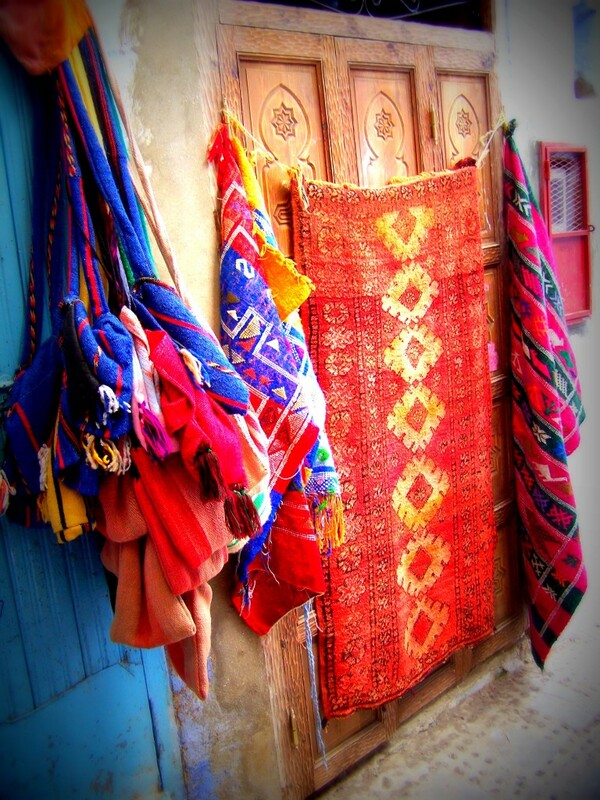 Beautiful, I’ve been dreaming of Morocco for ages, can’t wait to go! Beautiful, colourful photos, Diana! 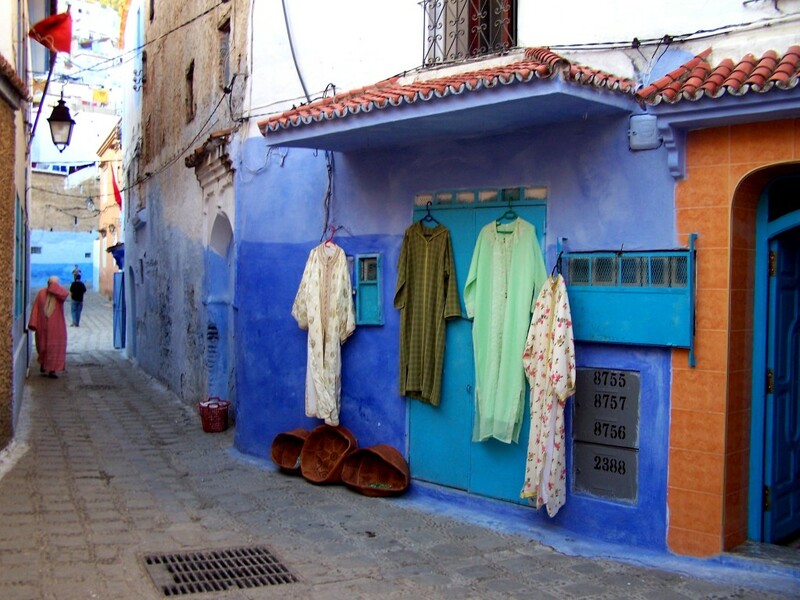 Chefchaouen looks very tempting. Thank you, Sophie! It is truly a beautiful and charming city! I really want to go here, it looks so pretty with all those blue buildings! Love everything you said about this town. 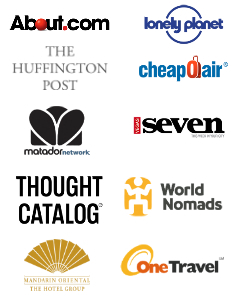 I arrived straight from Spain and thought I would only spend two days there… um I spent 8. I never wanted to leave. 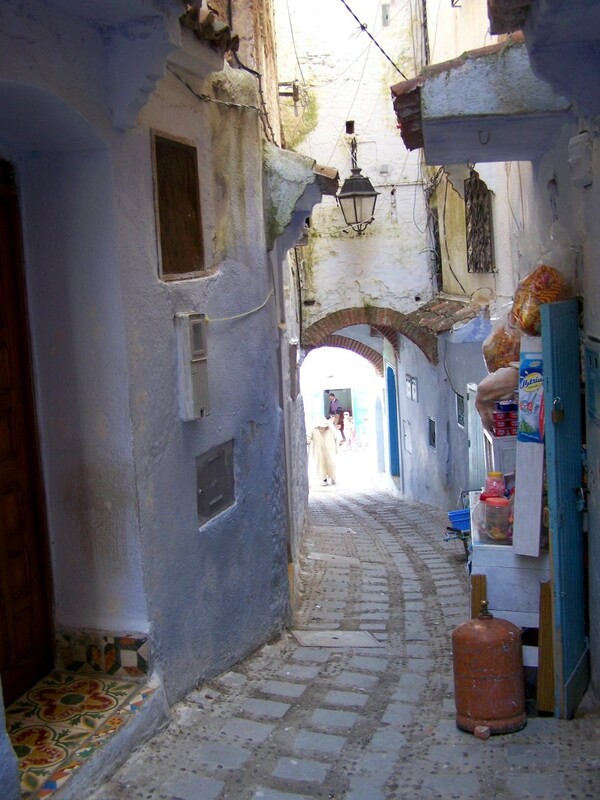 This is one of the most magical towns in the world… the winding streets and million shades of blue is just amazing. I loved that it was sleepy and everyone was so nice. Wow, you spent eight days?!? I would LOVE to go back and do that. I was there for a quick visit, as I had a lot of Morocco to cram into one week. Next time, I want to spend more time here and Essouaria (sp?). Absolutely beautiful. I can’t wait to visit Morocco. Let me know if you need any tips!! So bummed we didn’t have the time to make it here when we were in Maroc. It looks beautiful. Next time! 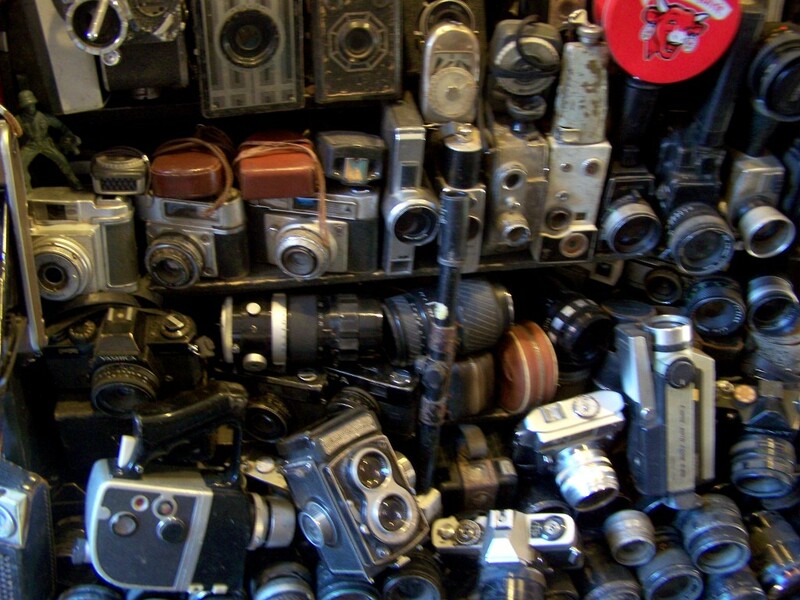 I bet your photos would be spectacular! 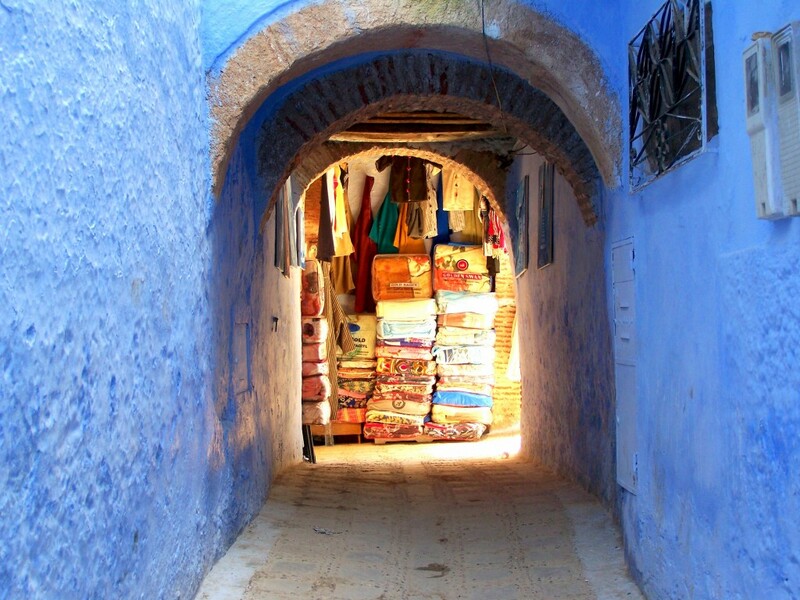 Ahhh – one of my favorite stops in Morocco – such a beautiful town bathed in blue! It is definitely one of my favorite places! Especially as the sun sets!! I’m now totally intrigued by this place. My freiend and I were just pondering the other day where in Moracco I should go and I think this might just be it. The steep hill climb would probably be part of the adventure, no? I love the colors! 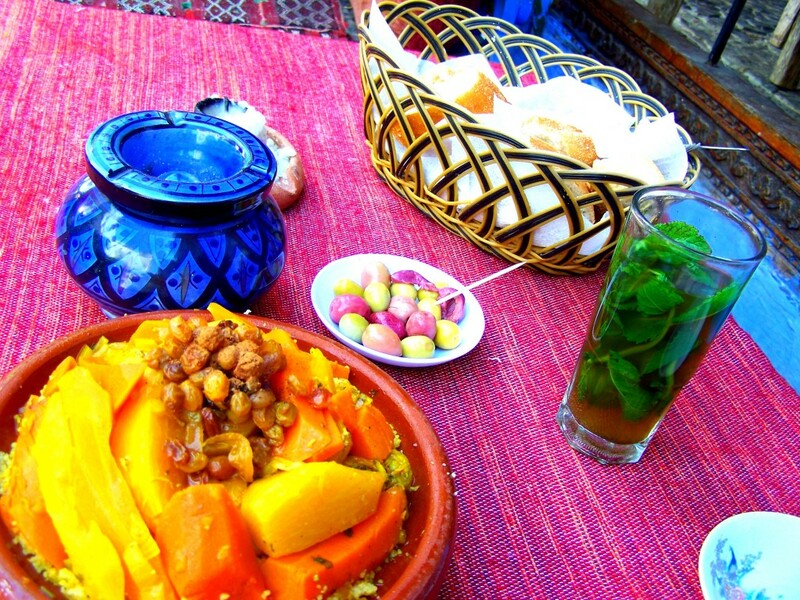 It is definitely a must in Morocco! As for the hill, I had no desire to do it, but yes, could be part of the adventure! What attractive pictures. I loved the blue and white contrast all over the islands in Gtreece, so I am sure I would like this as well. It does seem somehow wrong to have a black and white pic in the middle of a place with so much color, though. The amount of color never ceases to amaze me. From food to clothing to buildings. Fantastic! We’ve heard so much about Morocco lately. 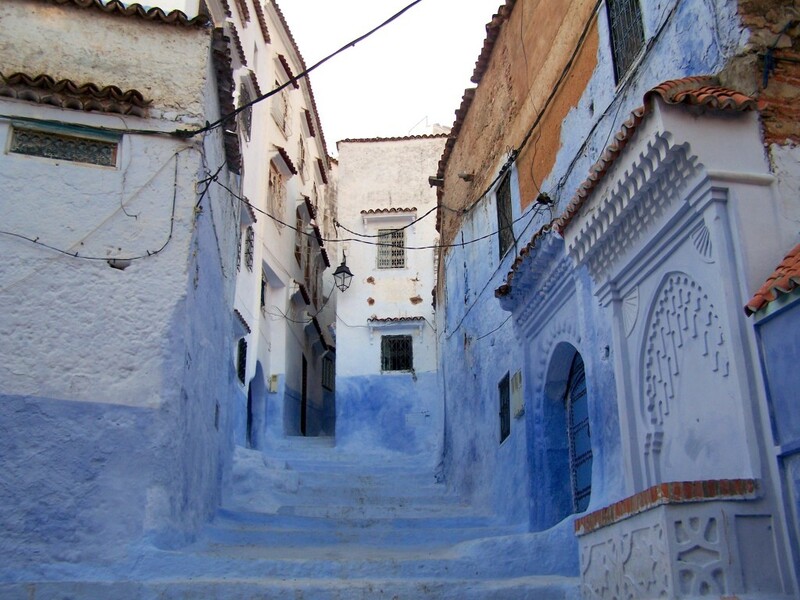 We’ll definitely have to add Chefchaouen to our list! Definitely … it was my favorite place in Morocco. So vibrant. Such lovely people. Worth the bus ride, for sure! Makes me feel so … blue! 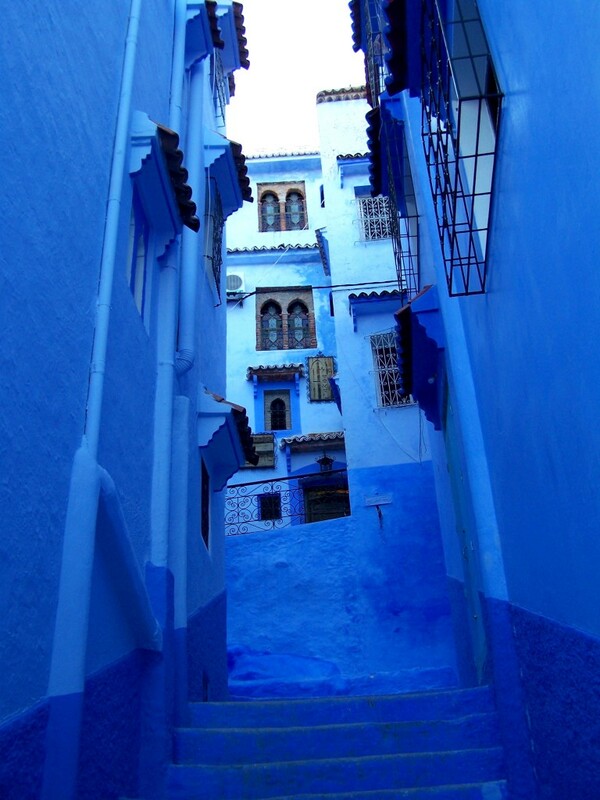 I love that you used the photo from Chefchaouen for your header, ha! I loved Chaouen, it was so photogenic. I did brave my way up and down that hill from the bus station — it’s not that bad depending how heavy your bag is! My bag was super heavy!!! Chefcahouen is amazing!! Hi Ade, it takes a couple of hours from Tangier. Maybe three? I don’t know how far it is from Casablanca. Safe travels and enjoy!! Hey Diana, thanks for sharing. We are going in November, is two nights enough? Are there hiking/outdoor things to do? Hi, I think it is, but you may want to stay longer if you want to hike, etc. You will need to consult your guidebook for hikes, but there are def walks, etc. within the area.